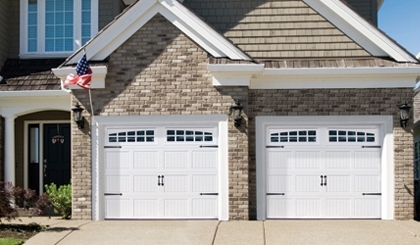 Traditions Series steel garage doors are built for dependable, long-lasting performance and offer homeowners an excellent option in three-layer construction. There is no product series in the industry with more flexibility and customization options, making Raynor's Traditions Series well equipped to be the ideal complement to your home's facade. 2" thick door sections; EnduraCote™ Hardware System - White Powdercoated; Expanded Polystyrene insulation - 10.25 R-value; Optional AccuFinish woodgrain or ArmorFinish laminate finishes. For As Long As You Own Your Home warranty. 2" thick door sections; Galvanized steel track and hardware; Expanded Polystyrene insulation - 10.25 R-value; Optional AccuFinish woodgrain or ArmorFinish laminate finishes. For As Long As You Own Your Home - Rust door section warranty; 5-Year hardware/springs warranty. 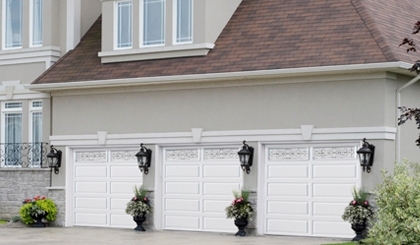 More than 1800 colors are now available on Innovations™ and Traditions™ steel garage doors! 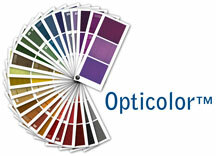 Raynor's new Opticolor factory painting program allows any Affina™, Centura™, and Relante™ garage door in the Innovations line, and Masterpiece™ and Showcase™ garage door in the Traditions line, to be painted after the section is built, giving homeowners an unprecedented ability to customize the color of their garage door. Featuring durable Sherwin Williams BP Enamel paint, the Opticolor process applies a third layer of paint to the pre-painted and galvanized steel adding another layer of protection to the garage door.